Yosuke - He and his friends head out to the city where Yu is for unspecified reasons during the story. Chie - Like in fighting, her dance style has copious amounts of kung fu. 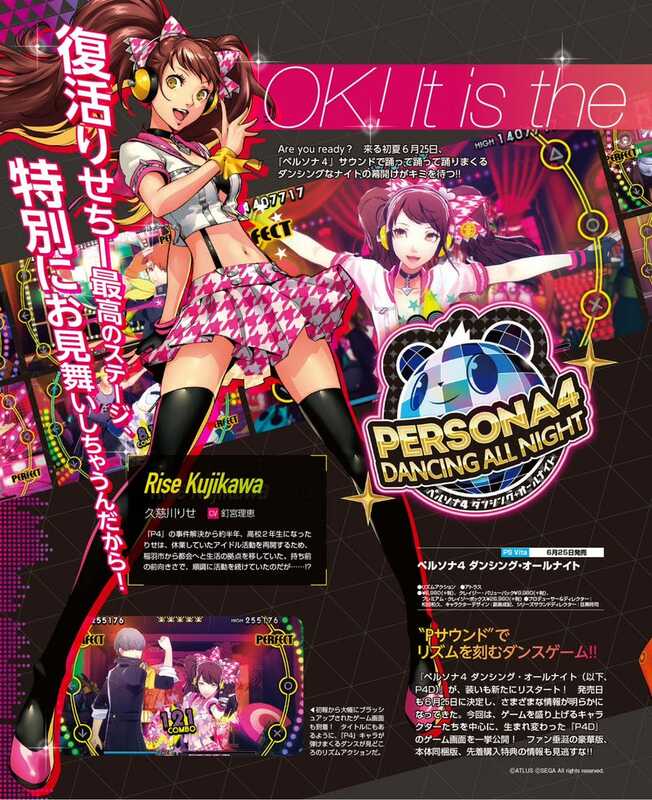 Teddie - He refers to himself in the article as "The Prince of Dance." Players are tasked with beating back Shadows by dancing. The game features familiar twists like simultaneous button presses, long presses (seen as a pair of H's inside a long oval), and such. Players can build up combos and trigger special scenes. More information on that is coming at a later date. Duets with two dancers also occur in the game, in addition to characters dancing solo. The enemy icon from the Shin Megami Tensei Super Nintendo games appears at the top of screen during dances.